Over a muli layered background of sponged and steel wool patted coloration, each note of the chromatic scale is represented beginning with the C in the lower left hand corner. Play the chromatic scale visually by moving your eye from left/right/up/down over the black and white keys. 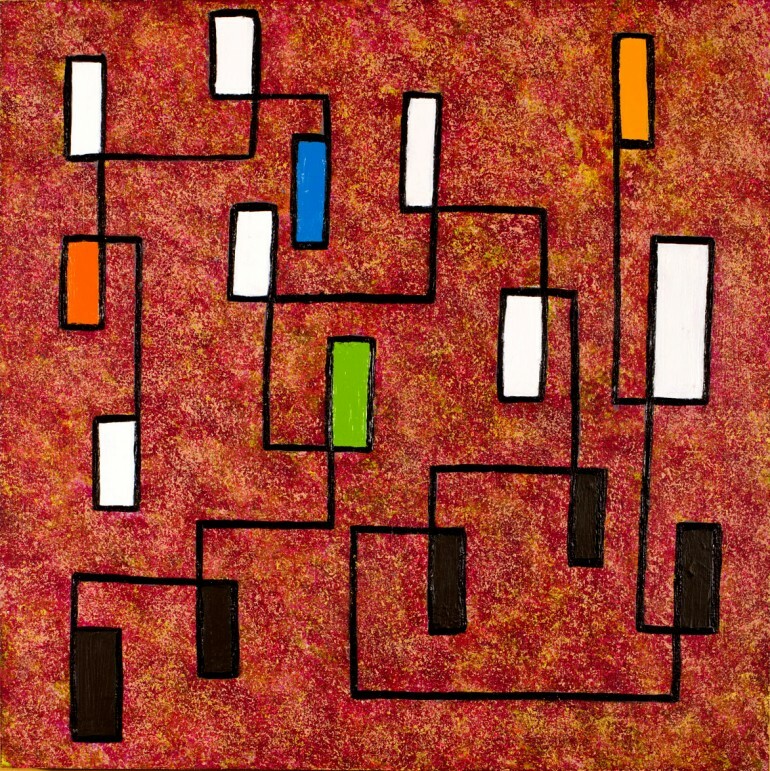 The four colored boxes represent the musical and visual harmonics of this key, and serve to provide a bond between the black and white rectangles of the scale and the textured background pattern surface. If you do not know exactly what a straight line, not alone in the youe. Curly hair for those who have an abundance of, they probably know the benefits of this kind of product is But straight is not about getting rid of curly hair.